When Cream first emerged, rock and roll was barely a decade old. Nobody knew for sure if the music would last. In fact, for an older generation, rock and roll was viewed as a fad and nothing more. A meager ten years offered no proof of the music’s long-term viability. Like everything else in the 20th century, time and change were on a fast track. Tradition, musically speaking, was seen as the calcification of ideas that existed to protect the old guard—and the avant guarde was having none of it. This was hardly new. Jazz had its moldy figs, the term used for old-style swing musicians like Louis Armstrong by the new “Bop” musicians like Charlie Parker and Dizzy Gillespie. That was the seismic musical shift from the jazz of the 1920’s, into the 1930’s and 40’s, even if the designation was hardly accurate for an artist of Armstrong’s enormous stature. Rock and roll in the 1960’s went through a similar growing process, separating the “Rock” from the “Roll” by removing the music from the dance floor and placing it squarely in the concert hall, albeit in a completely different way than had been the case for jazz previously. This wasn’t the Benny Goodman band at Carnegie Hall, attempting to bridge the gap between classical music and the jazz of an earlier generation. It was closer aesthetically to John Coltrane’s classic quartet in their late period before all hell broke loose. Or, Mile Davis in his modal phase, crossed with a heavy dose of Howling Wolf and Muddy Waters, only with massive amplification. The kind of which didn’t exist, even a year or two prior. This enabled a three piece band like Cream to sound like a forty-piece orchestra, and concert hall’s like The Fillmore East and West made it possible for the extreme volume to spread through a five thousand seat venue and fill the air while still being manageable for listening purposes. By having three musicians improvising simultaneously the standard backbeat that generally propelled rock and roll became malleable. As the result, Bruce, Baker, and Clapton were able to create a music that soared, more than it grooved. The groove was there, but it was implied, enabling a greater freedom for the soloist, a role that the whole band filled, not just Clapton, the guitarist. The bass and drum were every bit as much at the forefront, functioning like an improvising string quartet or a semi-free jazz band, ala Coltrane in the mid-sixties. The virtuosity of the three musicians not only made this possible, for a youthful audience it was desirable. In that sense, there was nothing like Cream, not Hendrix, not The Who, not even The Paul Butterfield Blues Band with the extraordinary Mike Bloomfield on guitar. None were really like Cream, and for two very big reasons, Jack Bruce, the classically trained cellist and jazz musician and, the one of a kind pan-African jazz drumming of Ginger Baker. The three men laid the foundation for Jazz-Rock, Heavy Rock, even Heavy Metal. Listen to Creams studio version of Willie Dixon’s Spoonful, which was recorded late 1966. Jimmy Page and crew clearly did. Led Zeppelin’s Dazed and Confused owes Cream, and that particular album cut, a huge debt, as does Black Sabbath’s first record. Without the one, the others would never have existed in the same form. That’s how cutting edge and influential Cream were from the onset. Clapton made the very best of his position as the straight man to Baker and Bruce’s fearless polyphony. His tone, his vibrato and his laconic, behind the beat phrasing, created enormous drama emotionally, with explosive flourishes that redefined the sound of the guitar, influencing Hendrix, Page, Peter Green, Mick Taylor, Duane Allman and Dickie Betts, and even Jeff Beck, although, Beck has seldom given Eric his due, in that regard. The fact that a whole generation of guitar players picked up a Les Paul and plugged into Marshall Stack or some variant was the substantially due to Clapton’s work in Cream and his short recorded tenure with John Mayall. In reality, the whole trio changed the musical landscape, not just Clapton. It was Bruce and Baker that made Clapton’s soaring flights possible. Simply listen to the thousand imitators who fail miserably to recreate Creams mojo, and you’ll know just how significant Baker and Bruce were. In fact, they were irreplaceable. Beck, Bogart and Appice tried, and had their own success, certainly not for a lack of talent. It was a case of the talent being different, more traditional in terms of their musical roots, less jazz and more rock and roll, with a hint of soul music. In that regard, there has never been another band like Cream, not before, not since. And there probably never will be, any more than there will be another 60’s era John Coltrane Quartet or 50’s period Ornette Coleman Group. There will be imitators, but few, if any, will pick up the mantle and run with it. 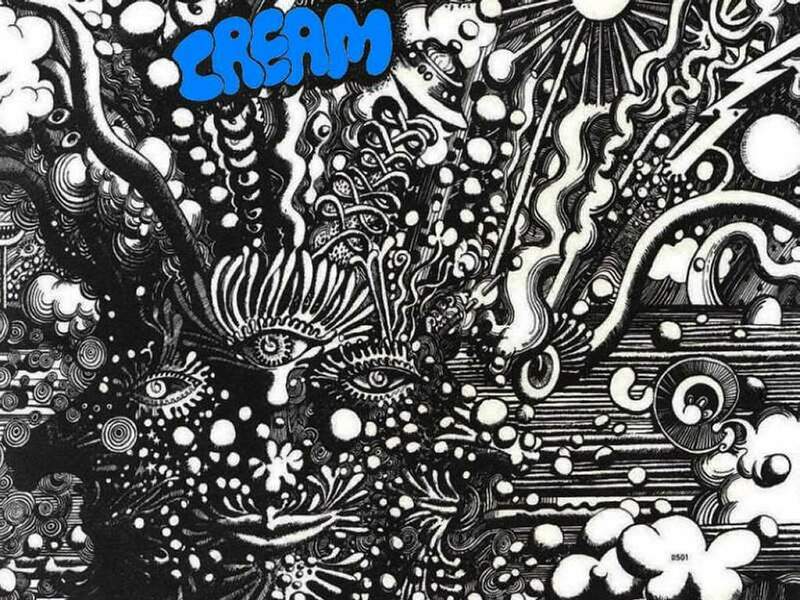 Cream was a unique confluence of individuals, at a unique period in history. That isn’t to say that music of the same caliber hasn’t existed, it has, of course. Change is inevitable, and thankfully so. There is Cream’s recorded music, however, undisturbed, in its original state—telling its own story, and to hear their impact, all we have to do is listen.